Today’s soybean inoculants are not the same as years past. The advancement and introduction of new products, low relative prices and changes to soybean production have led to additional research on the use of inoculants in our corn-soybean rotation. If purchasing a soybean inoculant (B. japonicum) or “rhizobia,” where might you get the most bang for your buck? 10. In the past, some research has shown that “long-term” drought, extending beyond 8 weeks, may warrant inoculant use. But, a recent study showed that soybeans won’t require an inoculant in a year following a drought. 9. If fields have been flooded for more than a week, rhizobia are deprived of oxygen, thus reducing their populations. But they can pop back again. And research indicates that a yield response isn’t guaranteed if you do inoculate. 8. The need for an inoculant may be greater in a sandy soil versus a medium to heavy texture soil. This is because lower populations exist in coarser texture soils. 6. Know the product. Newer inoculants are concentrated and provide 500,000 to over 1 million rhizobia cells per seed and can be tagged with a fungicide/insecticide seed treatment. As an extra bonus, some inoculants come with carriers that enhance survival and have supplemental food sources, patented technologies for delivery and protection, and extenders. 5. Rhizobia must be present at high numbers at planting to ensure soybean nodulation. Inoculants are living organisms and shelf life can vary, so follow manufacturer recommendations. The application methods of inoculants have improved and the use of stickers in dry product has greatly increased the amount of product remaining at planting. New inoculants have a higher survival rate (5 to 120 days), so they remain viable at planting. 4. Make sure soil conditions are conducive to inoculant survival and that the inoculant is compatible with other products used at planting. Rhizobia can be killed by desiccation, direct sunlight, heat, talc and contact with starter fertilizers. Check soil pH and EC (measure of salinity) before you even think about the addition of inoculant. Soil pH and salinity should be corrected and if it is too dry or wet at planting, effectiveness will be reduced. 3. In addition to your inoculant, are you getting “extra goodies” such as biostimulants, biofertilizer or biopesticide properties that would increase yield? Know what you are buying, if you need it and if it will give you a return on your investment. 2. Diagnose nitrogen deficiency within soybeans. Very light green soybeans can be a sign of nitrogen deficiency; however, many other environmental factors such as dry weather, soil pH (near roads/lanes), root compaction, root diseases, SCN or other factors limiting root growth can cause similar symptoms. Inspect soybean roots to see if there are healthy nodules (8 to 14 nodules per plant) and if the nodules are pinkish in color when cut open. 1. In the past, the largest yield increases from the use of soybean inoculants have been in environments with low rhizobia populations (less than 10 cells per gram of soil). The general recommendation is to use inoculants when no soybeans have been produced for over five years. Sometimes there is no response seen with inoculants, even in the absence of long-term soybean production. New soybean inoculants are now being tested across the Midwest, and the results vary. 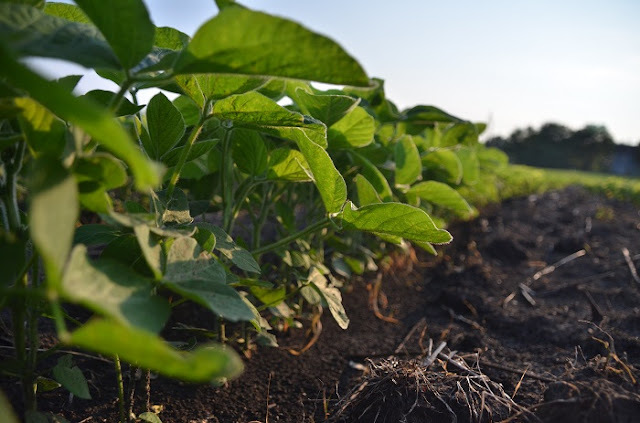 In some instances, research has shown a 1 to 2 bushel per acre yield response when new inoculant products are used within a soybean-corn rotation. On farm research, such as replicated, side-by-side strip trials on a small amount of acreage, over multiple years are suggested. If you begin to see a yield response, you may want to incorporate new inoculant technology into your farming operation. This article was originally published April 27, 2016 on the IL Soybean Advisor website. Stephanie Porter served as an IL Soy Envoy CCA in 2016 and is again in 2017.